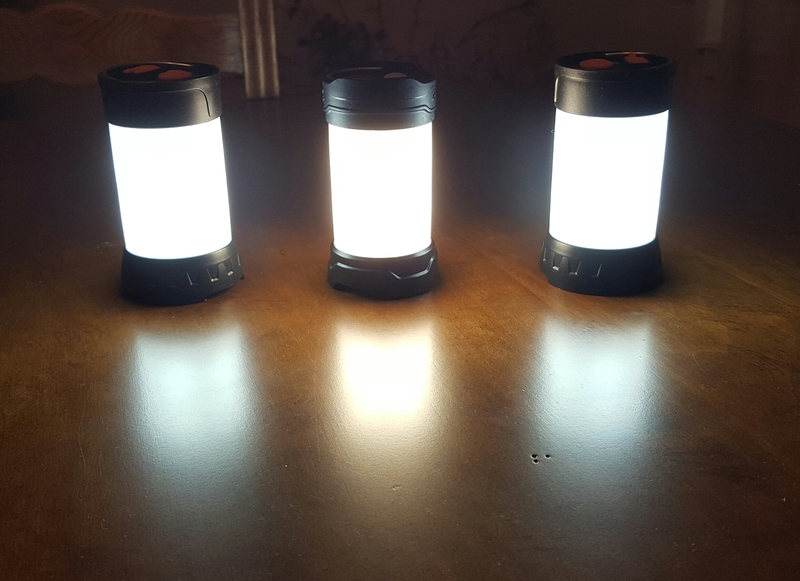 Hey guys, just wanted to see what the best option for a camping lantern would be. Not a bulky or heavy model, but something that can be carried in a pack easily, durable, water resistant maybe. Any ideas? Obsessed with sharp and bright things. Always in search of the best survival gear and travel gear. Do you want to deal with 18650 batteries or AA, C and D primaries? This is a little more expensive than $50. 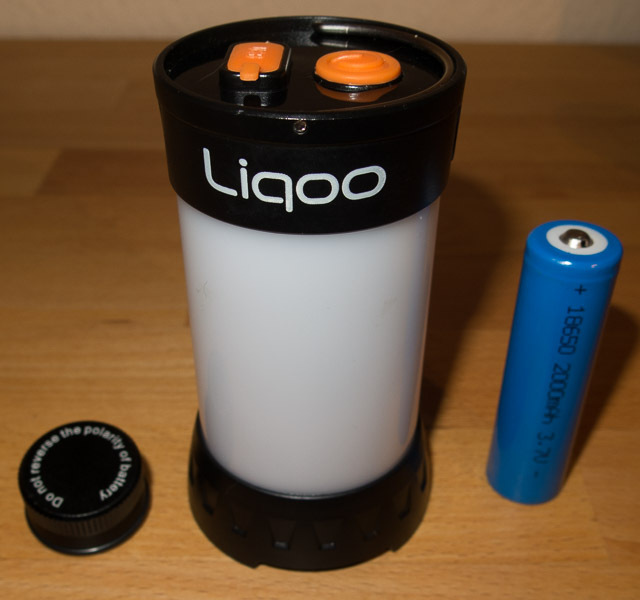 But package comes with a quality 18650 and two CR123 reserve batteries. This will serve as a lantern and will charge the battery(s) if you choose to buy more batteries and some of the great headlamps and lights we are so obsessed with here. Might find it cheaper shipped out of china. There are clones that get good reviews. Not sure on the durability. I would not trust the 18650 battery that comes with it. I recently bought the Fenix CL25R and I’m pleased with it. Built-in charging, nice neutral/warmish tint, good run-times and typical high quality of Fenix lights. It’s somewhat expensive, but I think it’s worth the price. Equipped with a quality battery its a good lantern. Bought this Streamlight Siege not too long ago. It’s small and very well built. Runs on 3xAA. About $20 on Amazon. Nice, thanks for all the ideas! Gonna read up on all the reviews. I am very pleased with my Fenix lanterns. All rechargeable and high quality. Fenix CL30R … This compact rechargeable lantern puts out a lot of neutral white light. I am most impressed with the even transition of output through the 5 levels via the UI switch. Believe me turbo is plenty bright for most any outdoor use and will probably be called for sparingly … very bright on turbo. This unit is built like a tank as are my CL25R and CL20. I am very happy with my purchase …. money well spent IMHO. CL30R and CL25R will continue to run while charging from external battery bank or USB AC power supply … this is a very nice feature. You can tail stand, or with the lanyard, you can easily hang it from a tree branch or inside a tent. You can fit your tube light, diffuser, and a headband in your pack and cover hand-held, headlamp and lantern with a lot less weight and volume. Good suggestion with the diffuser. I have one on the way for my S2+. Although a lantern will typically stand more securely. If I understand correctly you will using this on backpacking trips? I second all previous recommendations for either the Fenix CL25R or related clones, depending on your budget. Definitely ticks all the boxes you mentioned. The Defiant lantern Bort mentioned is also not a bad choice. It’s rather large but very light and could easily be attached somewhere to the outside of your pack. I may have done a mini review previously on a certain other website. - powered by a 18650 replaceable battery (3000 mah battery included). - infinite variable output from very low(unkown lumenlevel) to max 210 lumens. - Can be used as powerbank, and can also be charged via USB. - Magnetic base strong enough to hang it booth upside down and sideways on metal surfaces. - Small! But with built in foldable legs to elevate, and collapsable hook on top for hanging. - Build quality seems to be good and durable. - Good value in my opinion at 50 bucks, including battery. 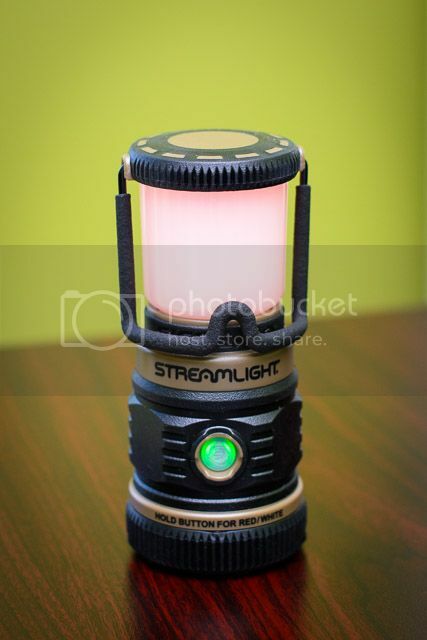 EDIT: Just saw now on their webpage that this lantern can only be used with Goal Zero`s own 18650`s. with both negative and positive on both ends. However, it can be used while plugged into a powerbank to extend the runtime significantly. And its also possible to buy separate batteries from Goal Zero. Want to share the deal. Fenix CL25R is currently only $30 on banggood from US warehouse. Pretty good deal. Not a fan of lanterns I’d buy a $30 skillhunt h03 instead or a small 18650 light and some dc fix . I use this ,it has convenient “mount system” for large tents. And really long run time. I can not discharge it even in 2 week expedition. There is the same model at allexpress/taobao. Or BW-LT5 with 1*18650 in it. I’d buy a $30 skillhunt h03 instead or a small 18650 light and some dc fix . How would you fix a diffuser to it? Apply the dc fix to the lens. I’m surprised that nobody has yet to mention warm white color temps, around 2700-3000K (one mention of neutral white). I find warm white to be an absolute must for a camp lantern, it is so pleasant and soothing. Even neutral white looks cold and glaring at night, especially with a fire nearby giving off that beautiful warm glow. I know we all like flashlights, but if you expand that to LEDs in general, warm white LED rope string lights are a great way to light a campsite. They have the advantage of being able to light the area with diffuse light, and without the bright point that will glare you when you accidentally look straight at the Lantern eventually. But this just diffuses the beam and doesn’t turn it into a latern. the proprietary battery kills all interest on that one. i run stuff like that on free laptop pulls. and if goal zero folds you are stuck.or they drop the line and you cant buy a replacement anywhere. The Fenix CL25R comes with a protected 18650, and you can get 20% off at fenixlighting.com using the code “newmember20” ($48). The Fenix has NW emitters. The clones are cool blue. I second using a diffuser. I like these silicone diffusers at banggood. They are 1.99, fit on convoy s2 perfectly, pack down, weigh almost nothing. I string up a ridge line right over camp and hang my convoy right off it. It lights up camp nicely. I second using a diffuser. I like these silicone diffusers at banggood. They are 1.99, fit on convoy s2 perfectly, pack down, weigh almost nothing. I string up a ridge line right over camp and hang my convoy right off it. It lights up camp nicely. Hi, can I know what lumens you run it on? Also would the diffuser fits the BLF A6? I use a medium mode mostly, maybe 300 lumens. Ive also left it on very low moonlight all night. Once your eyes have adjusted its actually a very usable nightlight. They will fit the blf a6 great. 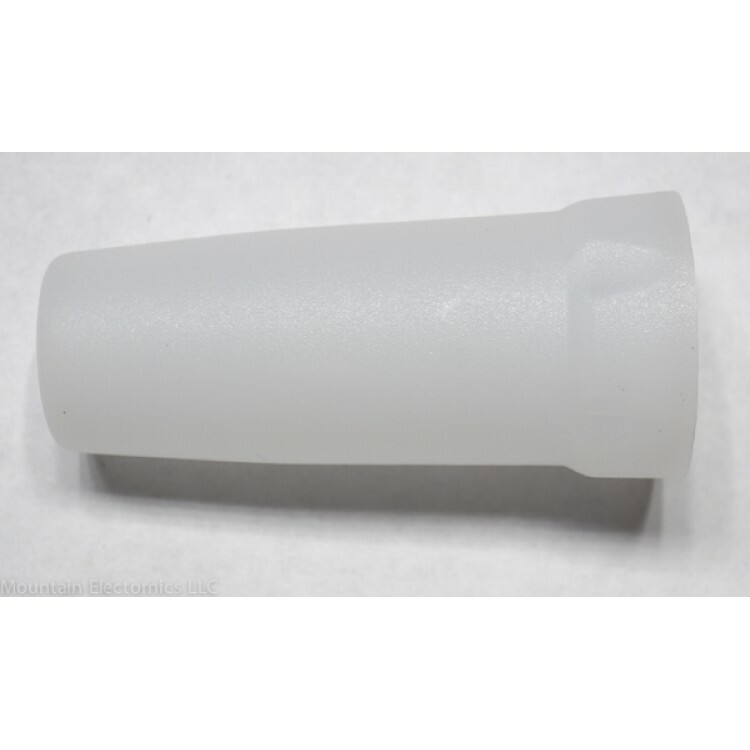 They are a stretchy silicon, so they can accommodate pretty much any 18650 tube light. I like these silicone diffusers at banggood. Been looking around for a budget camp lantern that’ll last the whole night. Don’t think it’s possible without burning a hole in the wallet. The A6 might just be the ticket.